In this image (NASA original source) from the International Space Station. what is the "lightning rod"-like instrument at the end of the mast in the upper right of the photo? 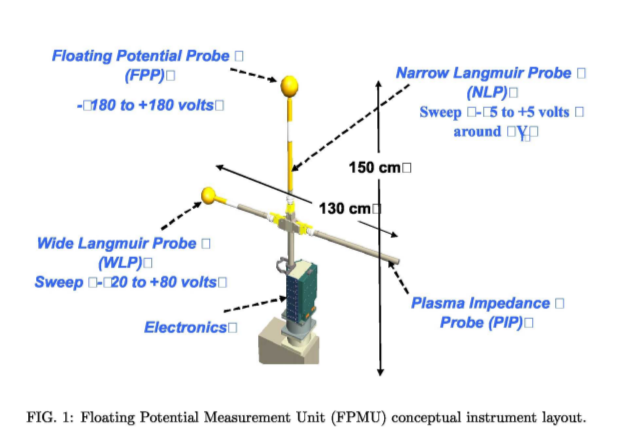 This is the Floating Potential Measurement Unit (FPMU). Specifically, the ball is the Wide Langmuir Probe. The FPMU was installed by ISS crewmembers, during an Extra Vehicular Activity (EVA), on the starboard (Sl) truss of the ISS in early August 2006. The system is based on past USU/SDL space instruments and incorporates a Floating Potential Probe, multiple Langmuir Probes, and a Plasma Frequency Probe into one sensor suite. The FPMU is used to correct the charging models of the station each time a new section is added to the structure. 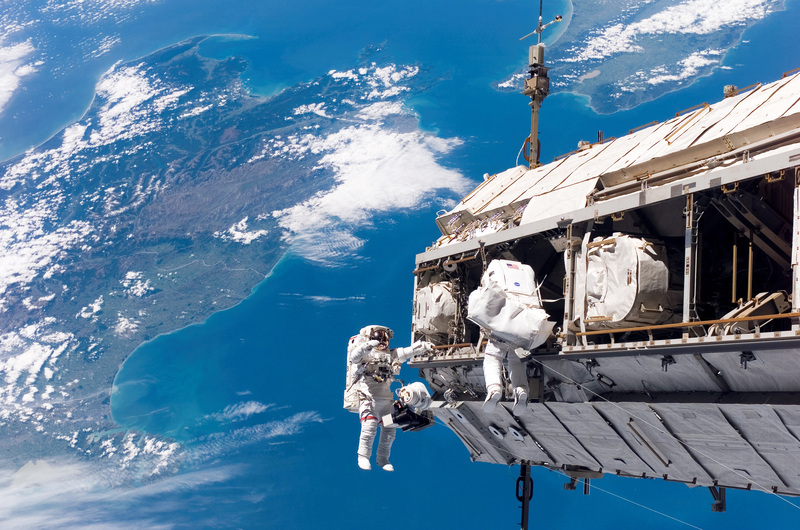 By providing feedback on the effectiveness of steps taken to control charging, the FPMU helps ensure a safe working environment for the astronauts. For more info about how it works, not what it is, see my answer to this question: How do spacecraft measure their own charge? . Not the answer you're looking for? Browse other questions tagged iss instrument identify-this-object or ask your own question. What are these antenna-like structures seen in Oleg Artemyev twitter video? What was the globe instrument in Vostok 1? What caused this bright light from the ground at night seen from the ISS? What is Astronaut Sunita Williams wearing on her wrist? What is astronaut Alexander Gerst signaling with this K-shaped hand signal? Did NASA “publish”, then “delete” this and other photos of the ISS leak? This image of the Space Shuttle is truly beautiful, but is it real? 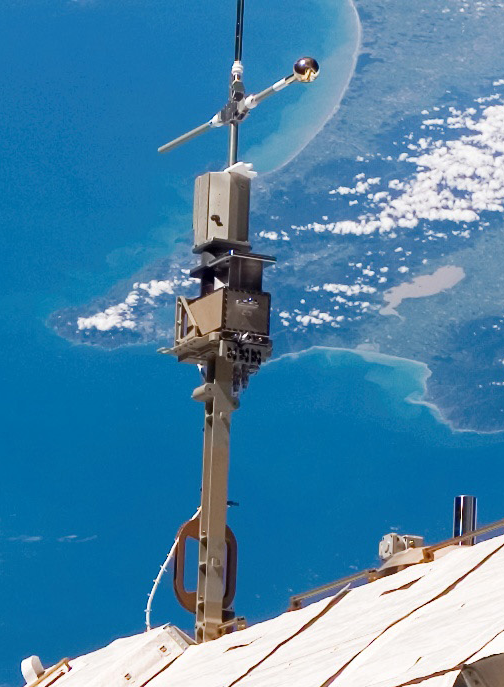 What is Earthy controling in the ISS cupola?